We’re heading back to where it all began, a block from the heart of Historic Downtown Louisville. 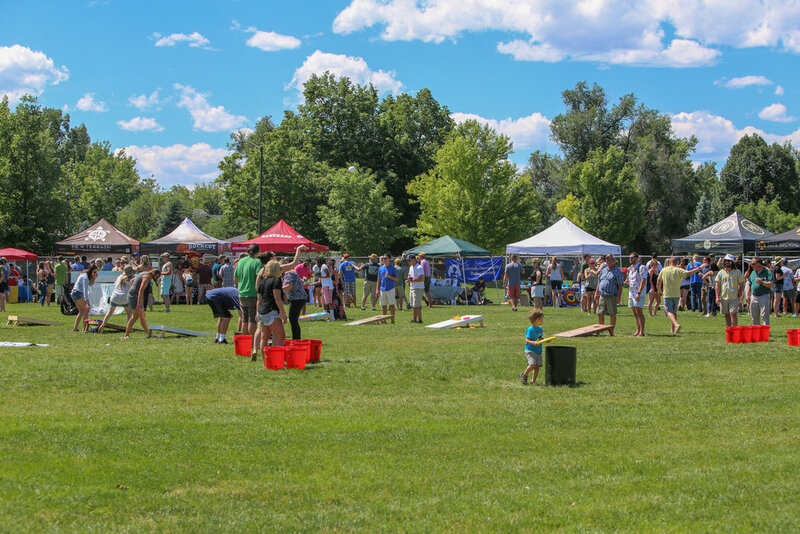 Breweries will set up on 13th Street and close out the Boulder Creek Hometown Festival. This event features arts & crafts exhibitors in Central Park, live performances at the Bandshell, the StarLite Classic Car & Motorcycle Show, a food court & beer garden, and much more! Booth Spaces & Setup: Each vendor will set up within a 10’ x 20’ space. Vendors must provide their own tables, chairs, and canopies/tents. Health Department: You must submit the online Boulder County Public Health (BCPH) Food Vendor Verification Form to BCPH and provide a copy of application to the BCE office along with your food vendor application. All food vendors need to have a current food service license issued to you from the State of Colorado. Please include a copy of your license with your application. If you do not have an in-state license, you may obtain one from BCPH. If you have any questions about the regulations, or if you need to obtain a license, call BCPH at 303.441.1564. Fire Department: There is to be no cooking under any tent or canopy, and all cooking and heating equipment must be at least 10’ away from any combustible materials. All food vendors need to supply their own dry-chemical-type portable fire extinguisher, having a rating no less than 40-B. Portable LP-gas containers, piping, hoses, valves and fittings shall be protected to prevent tampering or damage. Compressed gas tanks must be secured in an upright manner, away from tents and canopies and are not to be secured to tent poles or trees. Because of limited space, refueling trucks will not be permitted on event grounds. At the Boulder date, the Boulder Fire Department (BFD) will also be making inspections before the start of the event. If you have a Mobile Food Unit (Boulder date only), you will need to schedule an inspection prior to the event. If you have any questions please contact Matt Zavala with BFD at 303.441.4401. Sales Tax: If you do not have a sales tax license for the City of Louisville or Boulder, you must apply for one per event location to participate in the event. If you have any additional questions, please contact the Sales Tax & Licensing Division: Louisville: 303.335.4514; Boulder: 303.441.3050. If you do not have a sales tax license for the State of Colorado, you will need to obtain one. Insurance: All food vendors must submit a certificate of insurance naming Boulder Creek Events and the City of (fill in the city you are choosing) as additionally insured. Please include your certificate of insurance with your application! In order for your application to be considered, it MUST be accompanied by a copy of your insurance. For Louisville: Boulder Creek Events and the City of Louisville are additionally insured with respect to General Liability. For Boulder: Boulder Creek Events and the City of Boulder are additionally insured with respect to General Liability. If you plan on bringing a truck/trailer to the Louisville event, you will need to obtain a mobile food unit license through the City of Louisville. If you plan on bringing a truck/trailer to the Boulder event, you will need to obtain a mobile food unit license through the City of Boulder. Please contact Kristin Teague at 303.441.3034 for additional information.